Turkey breast is a good choice for a healthy diet. It is excellent low fat and high in protein. It can also be use for various recipes such as salads, sandwiches, casseroles, stews and grilled. 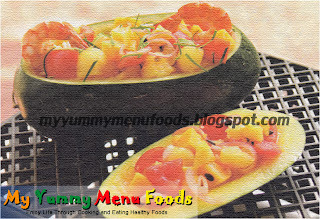 So try this delicious and yummy dish for your good health. 1. Marinate the turkey breast with sweet and sour sauce, hoisin sauce, lime juice, oil and pepper for 30 minutes. 3. Place the skewers on an oiled baking tray and bake till golden brown (approximately 8 minutes). 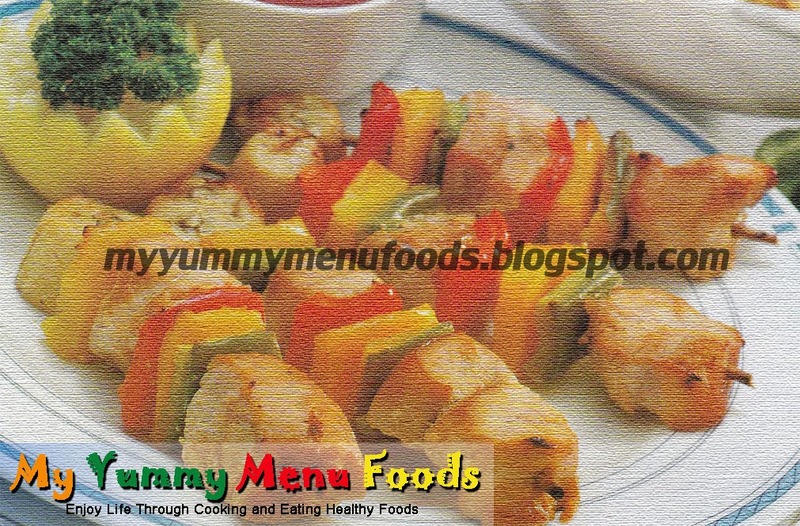 Set the brochettes on a plate to serve. A Cornish is particular breed of chicken and merely refers to a young chicken, which are usually fed in significant amount of food and slaughtered when they are about five weeks old. They are soft and tender, juicy and easy to cook. 2. In a bowl, mix all ingredients and taste t check the seasoning. 3. With kitchen shears, split the chicken into half. 4. Place chicken in a baking dish and pour marinade over the chicken. 5. It’ll be ideal to do this ahead of time, 3 hours or more. 6. Bake in the oven for about 40 minutes, basting and turning every few minutes. 7. Turn up the temperature to full and bake for another 10 minutes, basting continuously until chicken is nicely glazed and shiny. 8. 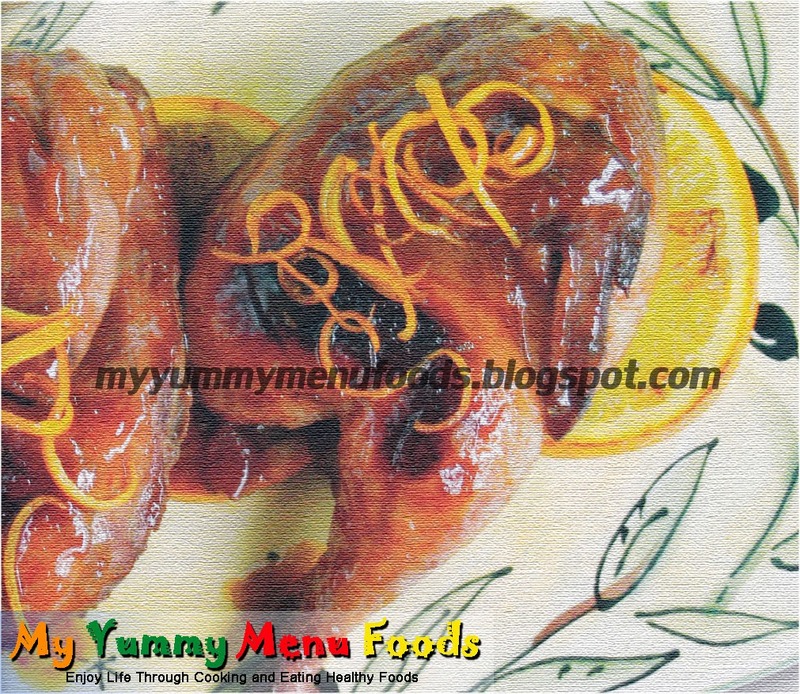 Serve with sauce (cooked marinade) and orange slices or orange segments. This menu is good for summer. You can have this when you go to a beach picnic. 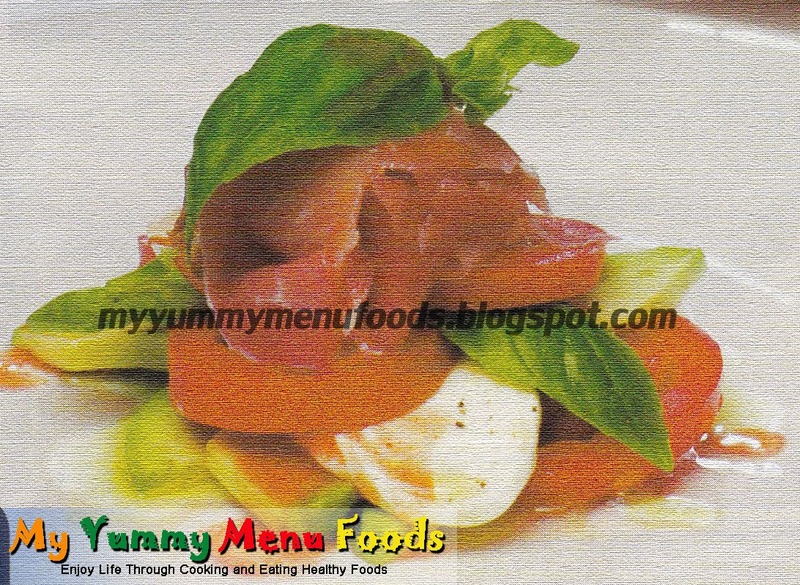 So easy to prepare very fresh and nutritious. This fashion salad is also good for your diet habit. Prepare the dressing and immerse onion slices to reduce pungency. Prepare the other fruits and herbs. Gently toss together in the dressing. Finish with a drizzle of olive oil just before serving. Try this amazing Filipino dish negrense specialty with flavorful and unique ingredients to make the dish more tastier and fabulous outcome. 1. Sauté onion and garlic in butter. 2. Add pork, tomato sauce, soy sauce, bay leaf, cinnamon, pepper and salt. 3. Simmer until pork is almost tender. 4. Add buko water if necessary. 5. Add carrots, hotdogs and ham, simmer for 5 minutes. 6. 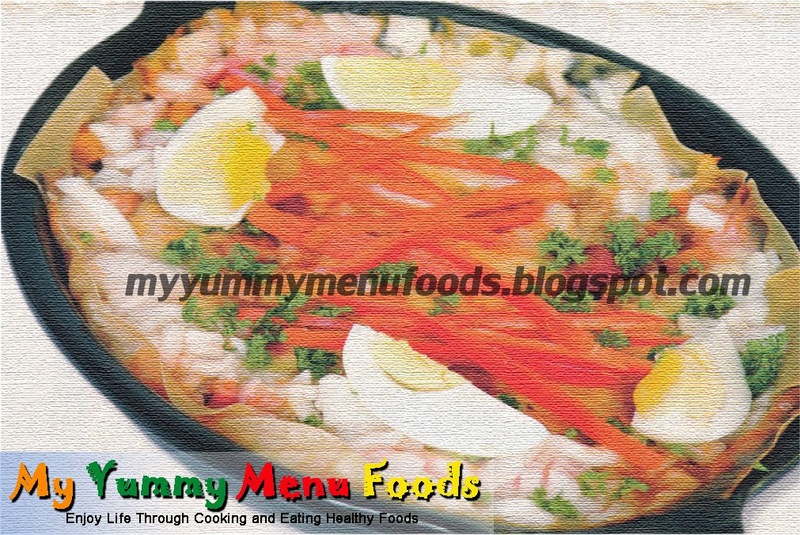 Add buko meat, pickles and mono sodium glutamate. 7. Arrange meat mixture, cheese, molo wrappers in layers in grease oven-proof dish with the meat mixture sprinkled with cheese as the top layer. 8. Garnish at the border with grated buko meat. oven 350 degrees F for 35-40 minutes. 10. Serve garnish with red bell pepper, hard cooked eggs and parsley.